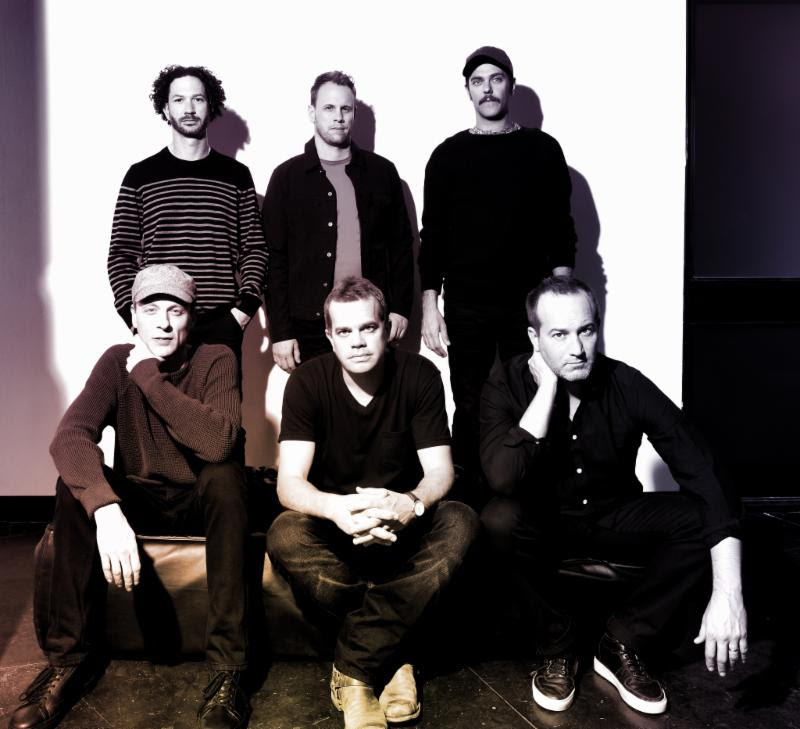 Today, Umphrey’s McGee have announced additional dates on their ‘it’s not us’ 2018 Headline Tour. The Spring run will bring the band to Aspen for a triple-header before continuing through Salt Lake City, Missoula, Seattle and Portland. The six-piece will wrap up the tour with four nights in California, including a headlining show at The Wiltern in Los Angeles. Kicking off January 11th in Pittsburgh, PA, the tour will coincide with the release of the band’s 11th studio album entitled it’s not us out January 12th. PRESS HERE to check out the official tour teaser for an exclusive look at what’s to come. The headlining trek will include a 3-night residency at New York City’s famed Beacon Theatre January 19-21, ending with an epic show marking Umphrey’s McGee’sofficial 20th birthday. Supporting acts throughout the tour include The Marcus King Band, Big Something, Nicole Atkins, Hayley Jane & The Primates, The Russ Liquid Test, and Organ Freeman, who will all join Umphrey’s McGee as they celebrate 20 years together by sharing new music with their fans. The Aspen shows will host a umVIP program, complete with elevated viewing, a pre-show band meet-and-greet, and more. Pre-sale & Aspen umVIP tickets are available beginning Wednesday, November 15th. General on-sale begins Friday, November 17th. Full tour routing is below, and for ticket info and upcoming announcements, please visit http://www.umphreys.com/. Comprised of 11 wide-ranging, vibrant songs it’s not us is a dynamic statement album that showcases the versatility and world-class musicianship that is at the band’s core. PRESS HEREto listen to lead single “The Silent Type,” which premiered via Billboard.com. Powered by a bombastic beat, funkified rhythms, fiery fretwork, and a chantable refrain, the single is an id-provoked reflection on temptation and its potential consequences, showcasing the band’s most succinct and accessible songwriting to date. It was recently synced during the World Series! 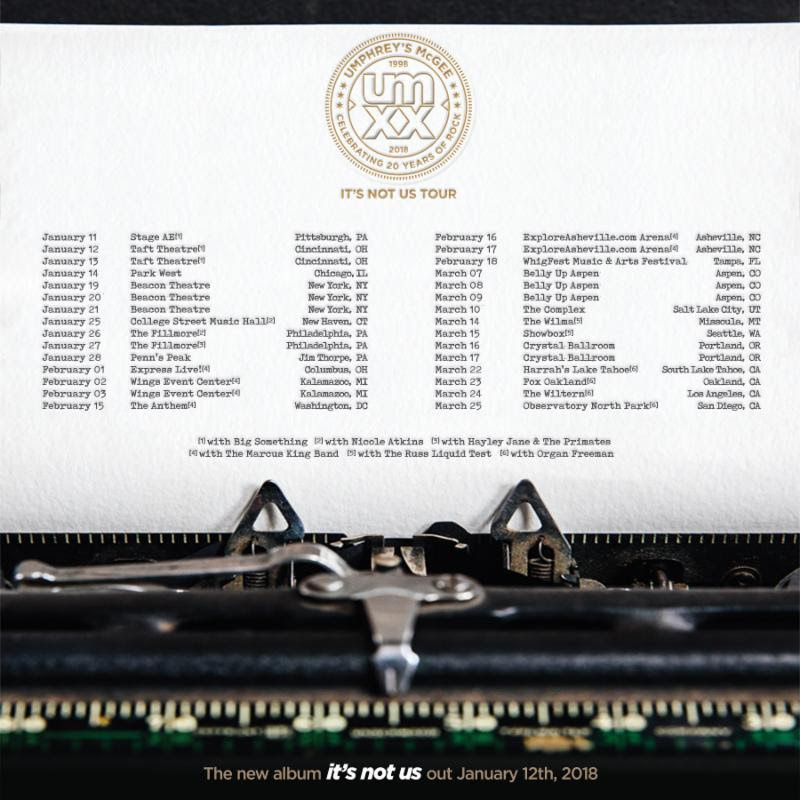 it’s not us is available NOW for pre-order. In addition to the standard download, CD, and vinyl, this release offers the most robust deluxe package UM has ever created – PRESS HEREfor more information. With a resume of over 2,200 live shows, ten studio albums, and 20 years together as a band, Umphrey’s McGee continues to build a fan base that defies categorization. Attracting followers from across the globe and from different musical backgrounds, the band has devoted its craft to creating a community centered around meticulous attention to fan experience. At the cutting-edge of both music and technology, their live show offers immersive tech-fueled innovations, super-serving their massive following. The music itself also defies categorization. Comprised of six critically acclaimed musicians – Brendan Bayliss [Guitar, vocals], Jake Cinninger [Guitar, vocals], Joel Cummins [Keyboard, piano, vocals], Andy Farag [Percussion], Kris Myers [Drums, vocals] and Ryan Stasik [Bass] – the group blends together multiple genres and sounds to make something very uniquely Umphrey’s McGee. VIDEO: Go Behind the Scenes of HELLO AGAIN with Audra McDonald & More!